Turkey and Brazil both built Cargos under license - and continued their production after it was dropped in Europe following the merger into IVECO. 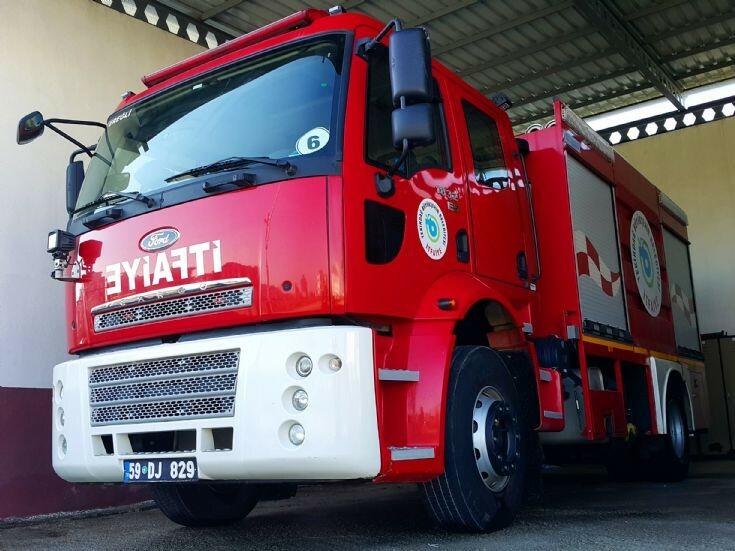 As a result, you will find numerous Cargo fire trucks in both countries, while other places where the D series were popular in the fire service, such as the UK, Denmark, Belgium, Ireland, Australia and New Zealand, have few or none. The Brazilian units are also exported to fire departments in several neighboring countries, and a few are pictured on this site. Added by Rob Johnson on 10 March 2018. Not a fan of the "functional aspect" of these trucks. This is what happens when you try to make a fire truck using a regular truck chassis. Too many steps (4 steps t get in) that are far too narrow to safely climb in gear and with an airpack. Just my 2 cents. Added by Todd on 21 March 2018. These days fire services are pretty much obliged to use commercial truck chassis, because all of the surviving custom fire truck manufacturers are now limited to the USA, and their rigs are generally just too big for road conditions in most other places. So it is Hobson's choice! Added by Rob Johnson on 22 March 2018.